If you don't own at least one YSL lipstick, you're probably missing out. It's a cult, a staple, necessity in any women's bag. It's not about the formula itself but rather having a feeling of power and sophistication. You can conquer anything. Yves Saint Laurent Beaute, synonym for luxury lipstick and leading company for beauty trends, released oh-so needed line of comfortable matte lipsticks. Five colours in total, only four in Slovenia, puzzle up unique line of Rouge Pur Couture The Mats. YSL claims the line to be modern with a twist of rock style and leather finish, which undoubtedly suits front face Cara Delevingne. I have to agree, YSL Rouge Pur Couture The Mats (34,14€, YSL counters) are truly comfortable on the lips, somewhere between satin and velvet finish. 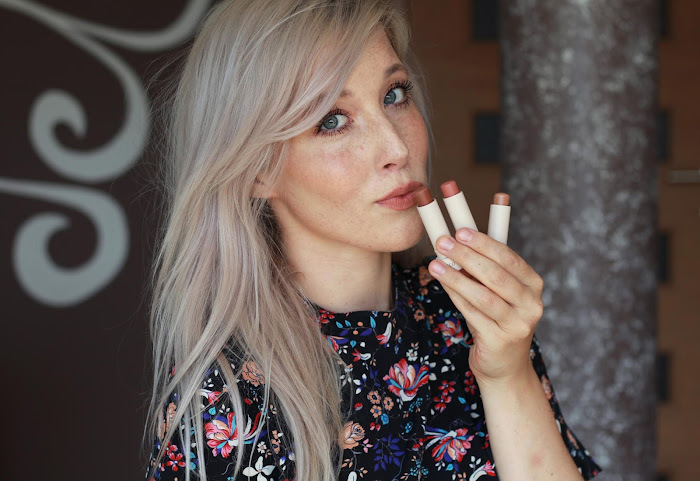 They're not your typical matte lipstick so please hold your horses before splurging. We need to firstly sort out the finish and formula. The Mats do somehow look matte in the tube and also transfer rather satin, but they're not even near the same concept as (for example) Mac Matte or Retro Matte. 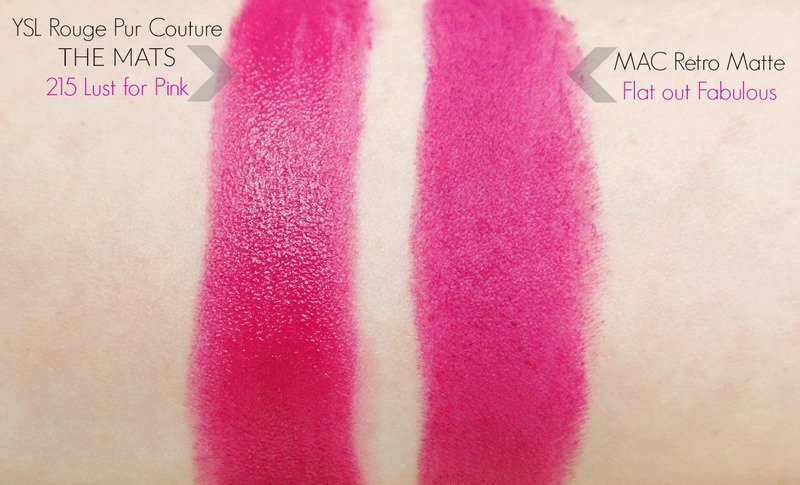 Instead, The Mats lipstick applies almost like a velvet cream and dries down more shine-free with hours. It's a luxury comfortable matte velvet. I'm actually digging the whole ''comfy leather'' effect and it wears wonderfully between long hours of work. They don't budge but I like to wear a corresponding lip pencil just in case. Rouge Pur Couture have a much more solid and consistent formula than ''kind-of-slippery'' YSL Rouge Volupte. Imagine The Mats as a next step in formula: budgeproof and easy to wear. In terms of longevity, 215 Lust for Pink stays on for 6+ hours. It fades evenly, without any major patches or unevenness. My chosen pick is actually the main star of the small collection. 215 Lust for Pink is an outstanding deepened fuchsia with pronounced violet-blue note. It's a truly unique kind of pink you won't easily find in other lines. Still, there was something familiar with Lust for Pink. I've dug through my lipstick stash and I found a lipstick twin or should I say a dupe. Lust for Pink is almost identical to famous Mac Retro Matte lipstick in Flat Out Fabulous. The main difference is only finish and a touch lighter shade on YSL side. 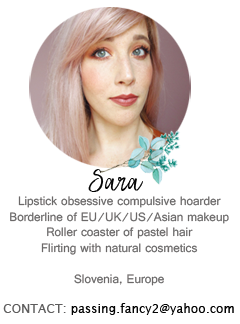 If you can't get Mac lipstick for any kind of reason (Slovenia do not carry Mac counters), Lust for Pink is the next best choice. Truly a wonderful pick of vibrant shade for summer. Suits all skintones and makes your teeth looking pearly white. It would be shameful of me not liking the icon YSL Rouge Pur Couture. Leathery satin finish from The Mats is only cheery on top when it comes to longevity, great formula and outstanding pigmentation. I absolutely love it and no wonder YSL has such long-life cult following. While I was slightly judgemental towards Rouge Volupte due to slippery formula, I'm pleasantly surprised with Rouge Pur Couture. I've might have started on the wrong side after all. I still think you need at least one Rouge Volupte or Rouge Pur Couture due to the divine packaging and given feeling of power in your hands. ''Give a girl the right lipstick and she can conquer the world'' - this quote totally encaptures true spirit of YSL. Such a gorgeous color on you! Lovely post dear, great photos! wow, I really love the colour. It Looks great. Lepa šminka. Mi je ful všeč ta berry odtenek. Waaa. In jasno, bjuutiful slike <3.